The 100 Day Challenge is a program for people who want to change their relationship with gambling. 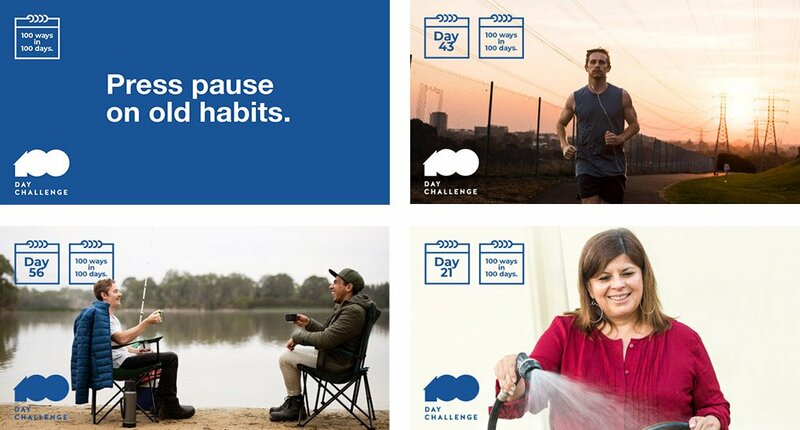 Available in app and web-based formats, the 100 Day Challenge offers participants 100 alternative recreational activities over 100 days, supporting them to take a break from, or cut back on, their gambling. Only 22 per cent of gamblers with a problem seek formal help or ask for help from friends and family, and typically this only occurs at crisis point (Study of gambling and health in Victoria, 2015). Many of the barriers to help-seeking are manifestations of stigma: denial, embarrassment, pride and shame are just a few. People who want to change but aren’t ready to seek formal help may benefit from actions they can manage at a personal level which reinforce the positives of not gambling. That’s why we created the 100 Day Challenge. The 100 Day Challenge is a flexible program designed with the help of professionals to give participants the support they need. And it’s all done anonymously. People can set individual goals, get support and advice, discover new activities and chat to others who are also up for the challenge. Strong and supportive community forum for sharing ideas, hurdles and successes – a whole community of ‘challengers’ cheering each other along. We've created a selection of images you can download and post to your website or social media account – feel free to use or take inspiration from the suggested posts below.